In response to the worldwide call for reducing carbon emissions, Cornell University has committed to carbon neutrality for the Ithaca campus by 2035. Building upon the ongoing Climate Action Plan (CAP) and the Acceleration Working Group Report 2014 (pdf), Cornell’s Senior Leaders Climate Action Group (SLCAG) developed and analyzed a list of opportunities for achieving this target in the Options for Achieving a Carbon Neutral Campus by 2035 (OACNC) Analysis of Solutions Report (CNCEAR)(pdf) prepared by Facilities Engineering. Campus energy demand, supply, engagement, and transportation were identified as four major areas of concern. Implementation plans for the first three have begun, however the carbon footprint from transportation remains an issue to be addressed. 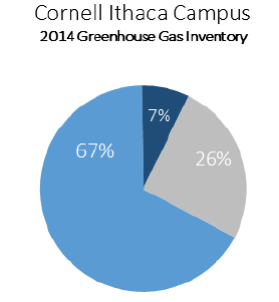 Cornell University is responsible for a carbon footprint of approximately 214,000 metric tons of C02 annually. 26% of C02 emissions are from transportation. 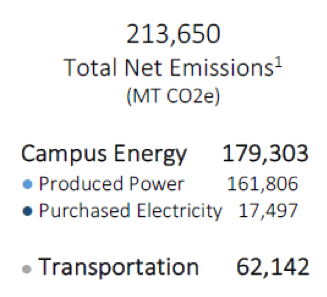 [Figure 1] Cornell’s transportation related emissions can be divided into two major categories, commuting and business travel. Each of these categories contributes over 29,000 tons of C02-eq. Information for better-informed decisions for both users as well as service providers. Using the principles of the Six Sigma approach, for example, student teams have worked with Cornell Facilities Services and Transportation and Mail Services to analyze the challenges and potential risks associated with efforts deployed by Cornell Transportation toward achieving carbon-neutrality, as well as potential solutions to mitigate and/or respond to these risks. The ESW: Biofuels Research and Development team has been refining waste vegetable oil into usable biodiesel over the past year. Spring semester of 2018, the team had the opportunity to test the heat capacity of their produced biodiesel and compare it to literature values using a bomb calorimeter. The data collected has confirmed the quality of the diesel and the team has been moving forward into designing a large-scale reactor. The Biofuels R&D team hopes to construct this reactor next semester and start full-scale collection of waste vegetable oil and production of biodiesel in Spring 2019. This biodiesel will be delivered to and used throughout the Summer by the Cornell Agricultural Experiment Stations in mowers and tractors. 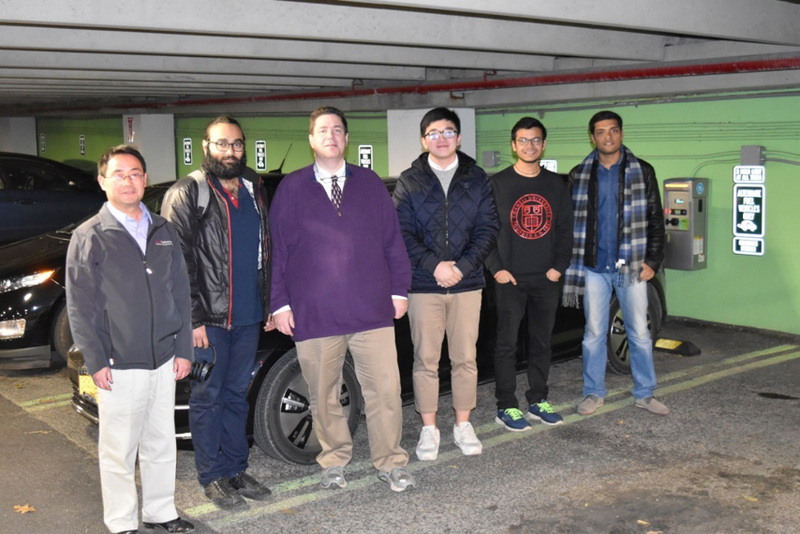 CTECH’s living lab initiative in mobility innovation is working towards a carbon-neutral Cornell. Student teams presented on projects related to the future of alternative transportation and low-carbon solutions, electric vehicles and more (see below for full agenda).